These are the best (and worst) tech and car fuelled ad spots from Superbowl history, featuring the likes of Samsung, Apple and Audi, along with a boat load of celebs and some very strange combinations. The Superbowl is the lavish final hurrah for the NFL season, aside from the American Football, every year sees the big tech companies jostling for space with a blow-out advert. With a spot on Fox costing millions of dollars, it's important to get your ad right - which some successfully manage, others not so much. If you've ever wanted to see Morpheus from the Matrix sing Opera, or Megan Fox snap a rather revealing selfie, read on. Who'd of thought it? Samsung of all people splashing out on a big-money, celeb packed spot for the highlight of the NFL season, definitely not us. Featuring Seth Rogen and Paul Rudd, along with Breaking Bad's Bob Odenkirk and topped off with a LeBron James cameo on a tablet, the highlight though was how many Galaxy Note references Samsung crammed in. Superbowl ads tend to go one of two ways – celeb packed or dramatic and emotional, this hits the latter. A sob inducing mix of empowering moments, Surface tablets and an uplifting narration make this one to watch. As dramatic as one its ads today, Apple's 1984 spot shows an Orwellian distopia, turned around by the discovery of the very first Mac. Coincidentally, Apple just celebrated the 30th birthday of the Mac, check out 'How the Mac changed computing: the experts speak' for a look at its history. Showing off the 2012 Volkswagen Passat, this ad cranks up the cuteness factor to 12, showing us what we like to think were the actual early days of Darth Vader - as he struggled to get to grips with the ways of force. "Have you ever noticed how in Hollywood movies, all the villains are played by Brits?" This star-packed spot, featuring movie villain royalty Ben Kingsley, Mark Strong and Tom Hiddleston is a very British affair and a nice change from the usual over the top American offerings. It's James Bond-esque, suave and there's plenty of tea-drinking. Google search is pretty useful, right? Though this spot shows it's basically the only thing you need in your life. Following the stages of a man's relationship – from first date to expectant father, it foregoes the mass of celebrity endorsement, instead offering something much simpler. While it hardly made the 'Blur' line of smartphones world beaters, Motorola's 2010 advert featuring a selfie of Megan Fox in the bath going viral certainly got people talking – though probably more about her than the actual phone. Before internet streaming was the norm, Alec Baldwin fronted a 2009 ad hyping up the qualities of Hulu – a service that never made it across the pond. The comically menacing spot, which shows Baldwin as an alien, brainwashing people through TV streaming is surprisingly fun, and, we like to think, not that far off the mark. 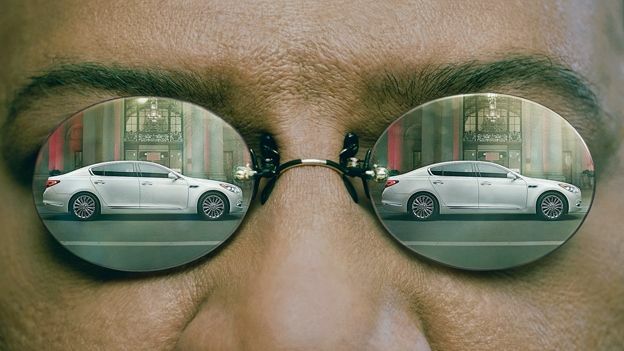 One of the most talked about and shared ads from this year's Superbowl sees Lawrence Fishburne reprise his iconic role as Morpheus from the Matrix trilogy. After he offers a choice between choosing the red or blue key (get it?) he breaks out into a verse of Nessun Dorma, obviously. Well, it's still probably better than Matrix Reloaded.